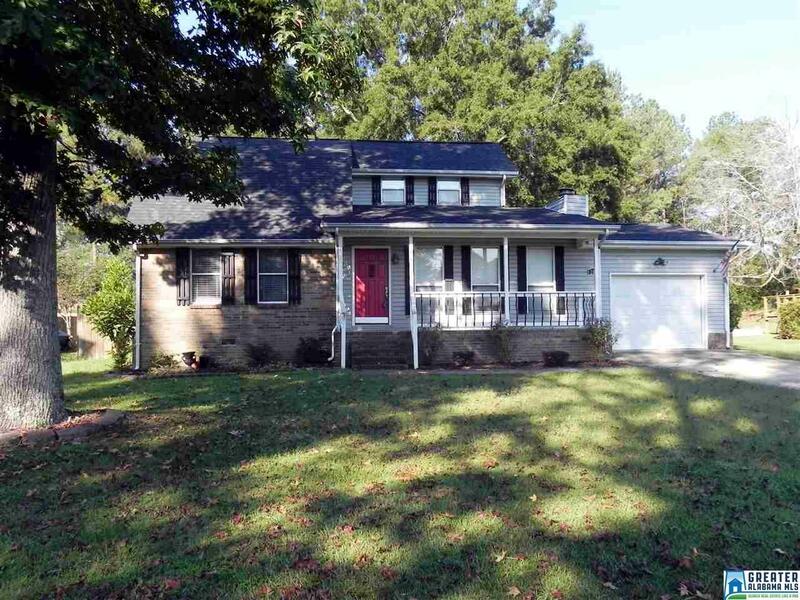 3 Bedroom 3 Bath Home in Oxford School District & Beautiful Sherwood Forest Subdivision. Enjoy the crackling of the wood burning fireplace in the cozy living room. Den / Bonus room with bay window is perfect for watching sports. Dining room features a wall of French doors, skylights and the gleaming hardwood floors continue into the open kitchen which includes an island, clean white cabinets, tile backsplash and pantry. Office desk closet area with double doors to close off. Laundry room. Master Bedroom is on the main level and includes a Master Bath. Garage, Covered Front Porch, Privacy fence, Storage Building, Rock Pond, Large Back Deck is great for entertaining and barbeques. Fantastic location close to Oxford Exchange, Choccolocco Park, Wal-Mart, I-20, Bypass and so much more. Call for your private viewing today!